This tallit clip is boasts the symbolic Tablets of Stone, Luchot Habrit. The first ten letters of the Hebrew alphabet, each representing one of the Ten Commandments are raised on a glossy purple background, with the Star of David at the top center. Many people consider the tallit clip as an essential accompaniment to the tallit, especially when wearing a shawl style tallit. A tallit worn during services tends to slip and shift. 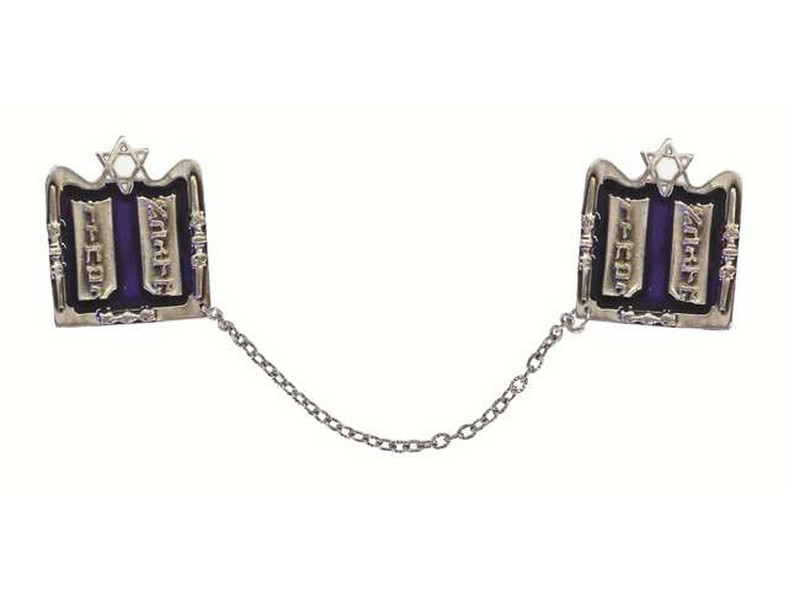 This decorative tallit clip, will keep your tallit in place and serve as a beautiful and classy adornment to your tallit.